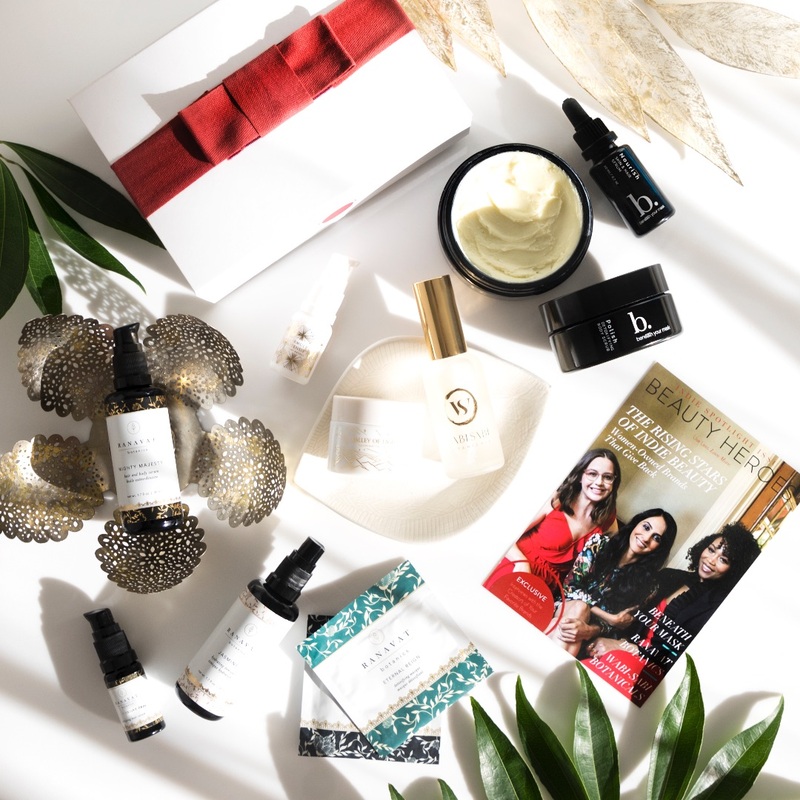 I'm so excited to show you lovely ladies the June Beauty Discovery by Beauty Heroes*. 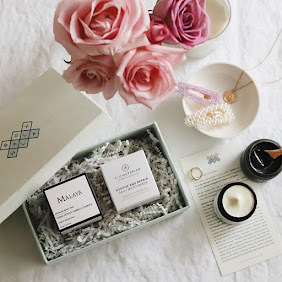 This month we are going back to the beautiful islands of Hawaii with the brand that truly impressed me last year - Honua Skincare. Who remembers last year's Honua discovery? I loved the two products that were featured so much and they are still on the back of my mind. I definitely want to repurchase them in the future because they worked so well for my combination skin and I recommend them to you still. See my review here. Honua was created by Kapua Browning, a beautiful woman who was raised on Hawaii, on the traditions of the local farmers, of which few remain. 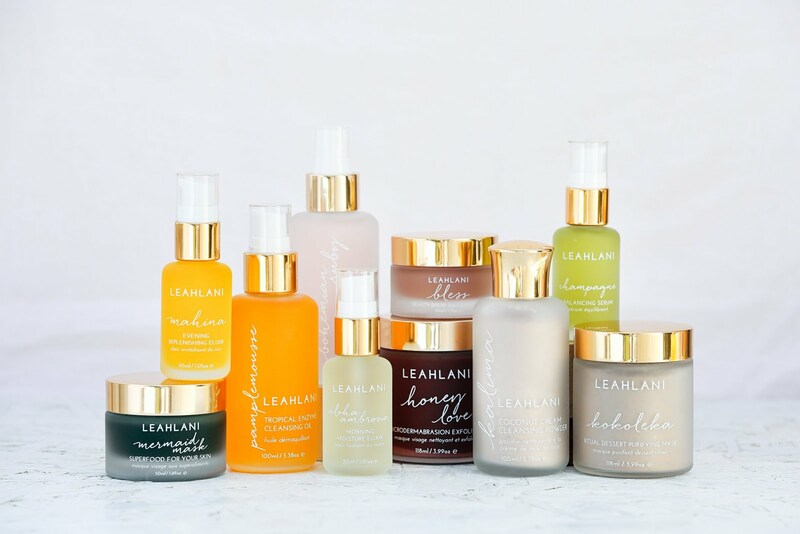 Kapua immersed herself in the study of botanical skincare, becoming a licensed esthetician and instructor. 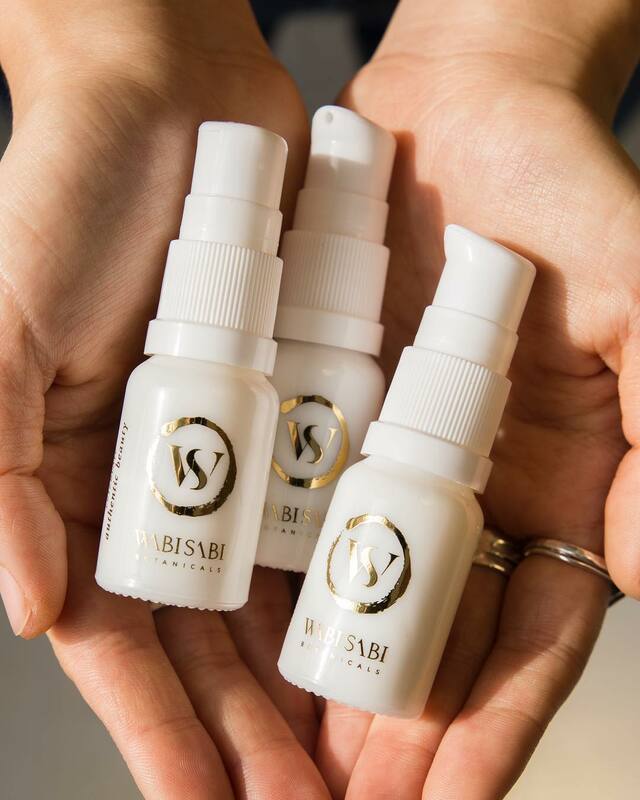 She and her husband Brandon, a Hawaiian Traditional Medicine practitioner, began crafting customized oils and tinctures for their clients using native Hawaiian botanicals. And in 2016, Honua, meaning 'earth', was born. 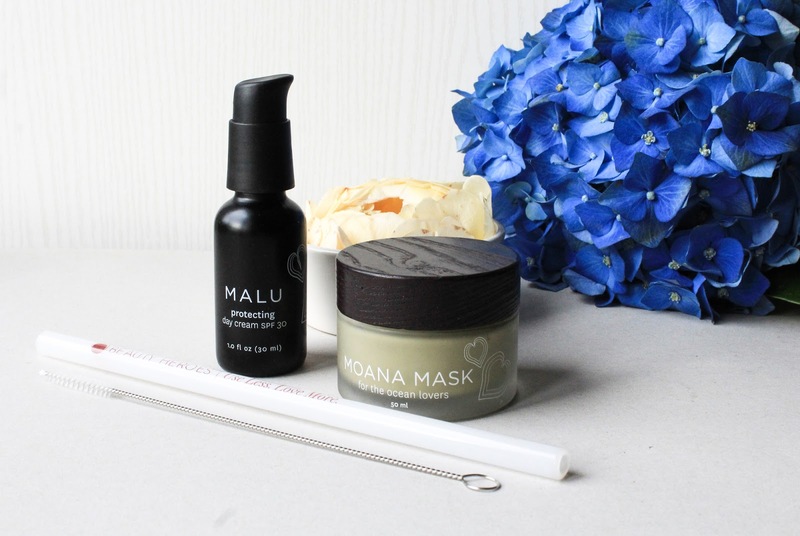 In the June Beauty Discovery are once again two full sized products from Honua: Malu Protecting Day Cream + SPF 30 and Moana Mask. 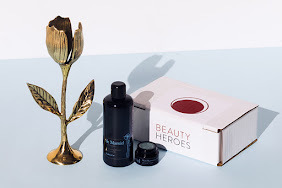 And the special addition to this box is the new Beauty Heroes Glas Straw. Check it out here. There is a new natural and coral-reef safe sunscreen on the block and it's mighty fine. 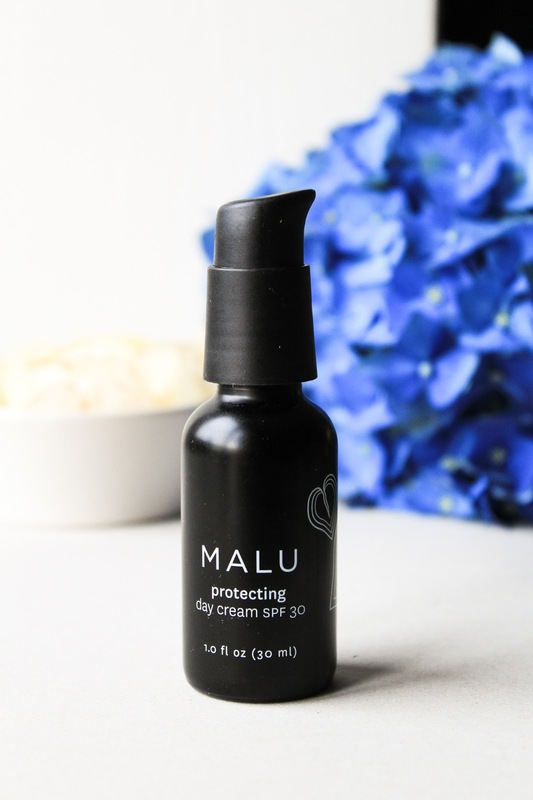 Meet Malu Protecting Day Cream + SPF 30, one of the newest Honua creations. I will continue mentioning it: many ingredients still used in sunscreens may cause a bleaching effect to the coral reefs. Which essentially means that the corals are dying and that causes a massive disruptance in ecosystem. With 14,000 tons of sunscreen running off into the ocean each year, it’s estimated that less than half of the world’s coral reefs are considered healthy today. Thankfully people are already doing something about it and Hawaii banned sunscreens containing two chemicals that are known to cause coral bleaching so I urge to check your sunscreen for Oxybenzone and Octinoxate. And I'm sorry but saying things like "I'm only going to be at the sea for one week" isn't good enough. Every day when you wash off the sunscreen of your skin it goes somewhere, right? It goes down the drain and into the water. And that water eventually ends up in the ocean. So do something about it and try to be a more conscious consumer. Not only that chemical UV filters aren't good for the planet, some may even burn your skin and cause unwanted reaction. Go for sunscreens that use non-nano Zinc Oxide (combination with Titanium Dioxide is fine too, but Zinc Oxide is better). 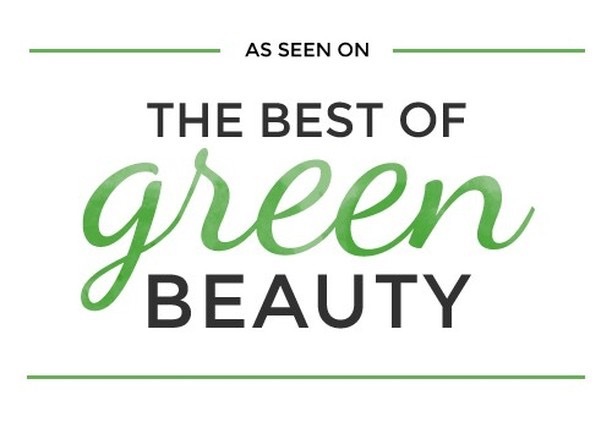 And know that green beauty brands are now making sunscreens that are NO longer heavy, super greasy, pore clogging and super white. Some still are but I'm so pleased that there are more and more lightweight sunscreens full of amazing ingredients that don't leave a gleaming white residue on the skin. And that is how Malu is! 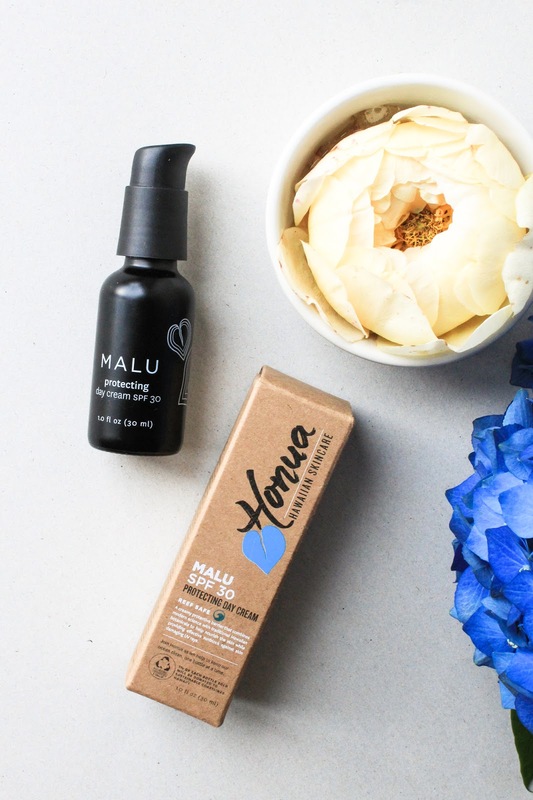 Malu, which means shade, shelter, protection and peace, marries traditional Hawaiian ingredients, hydrating Aloe, detoxifying Laukahi and repairing Noni into a silky, residue free and reef-safe SPF. It uses non-nano Zinc Oxide as a UV filter (see more about coral bleaching and Zinc Oxide here). It contains a few Coconut Oil derived ingredients so I would say if your skin easily reacts to Coconut Oil then do think twice if this is the sunscreen for you. I have combination skin and thankfully in the three weeks I've been using it I haven't experienced any massive problems with clogging. Malu has a beautiful scent, I mainly smell Jasmine (contains Jasmine Oil and Jasmine Flower Extract). As much as I love it, it is very nice that it isn't too strong or overpowering and that it doesn't linger on the skin. Malu feels so good on the skin: it is lightweight, moisturizing and radiance boosting. 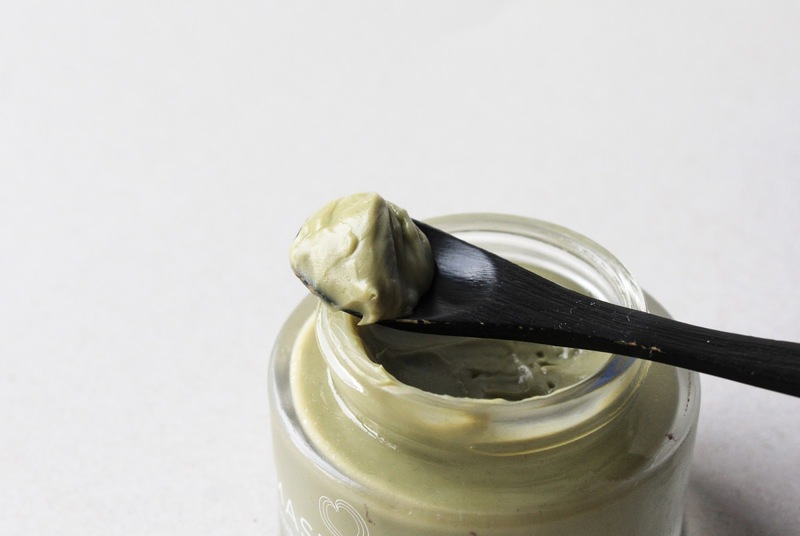 It doesn't feel heavy or greasy but at the same time it isn't quickly absorbed into the skin. But since it feels so light on the skin I really don't mind that. To me it's much lighter than for example Kari Gran Three Sixty Five SPF 28 but definitely not as lightweight as de Mamiel Exhale Daily Hydrating Nectar. I guess it's most similar to Nutrient Day Cream SPF 30 by Josh Rosebrook but that one sometimes causes red patches on my skin. I love that it's moisturizing and not drying which some sunscreens can be. Sometimes I use it on its own and sometimes I use a toner and serum first and then apply Malu on top. I apply 2 pumps or more because not always does a whole pump of product comes out the packaging. Honestly you also can't beat the price ($42) - which is very affordable comparing to some other sunscreens that I really like. I have a dedicated story highlight "sunscreens" on my Instagram (see here) where I have saved all my stories about sunscreens and there are also a few clips of me applying Malu on my face so you can really see how it works. All in all, I'm very impressed with this sunscreen! It's lightweight, moisturizing, has a gorgeous scent, contains reef-safe ingredients and doesn't leave a white residue. A beaut! You can check it out here. 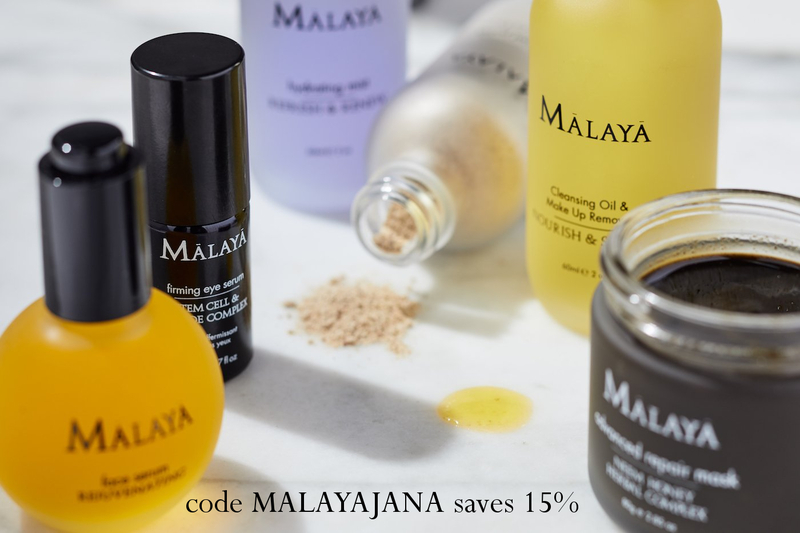 What I also love is that a portion of the sale of each bottle of Malu is given to Sustainable Coastlines Hawai’i, an organization advocating for healthy oceans, reefs and wildlife along the shores of Hawaiian Islands. Yes! Get Malu here. 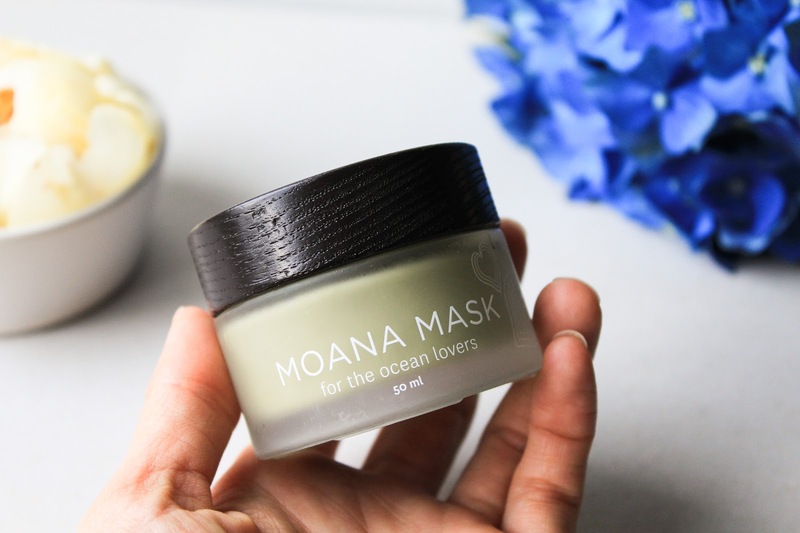 The Sidekick of the June box or should I rather say the co-hero product is the Moana Mask - For the Ocean Lovers. Which I most definitely am! This is also a newer Honua product, as well as the Aina Mask - For the Land Lovers, which I'm very intrigued by as well. Check it out here. When I say Moana I'm pretty sure that most of you will think of the animated movie, which is lovely, but did you know that Moana actually means "a body of open water, in particular the sea"? I love and adore the ocean and I'm looking forward to the day when I'll be living next to it. 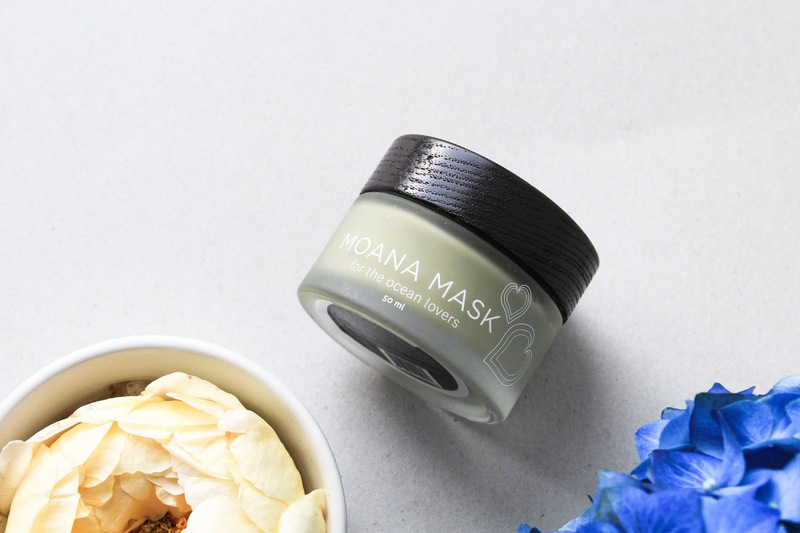 Moana mask is described as a balancing, replenishing treatment mask. Moana is based on Hawaiian Honey and contains clays (French Green, Kaolin and Bentonite), Spirulina, Turmeric, Aloe Vera. 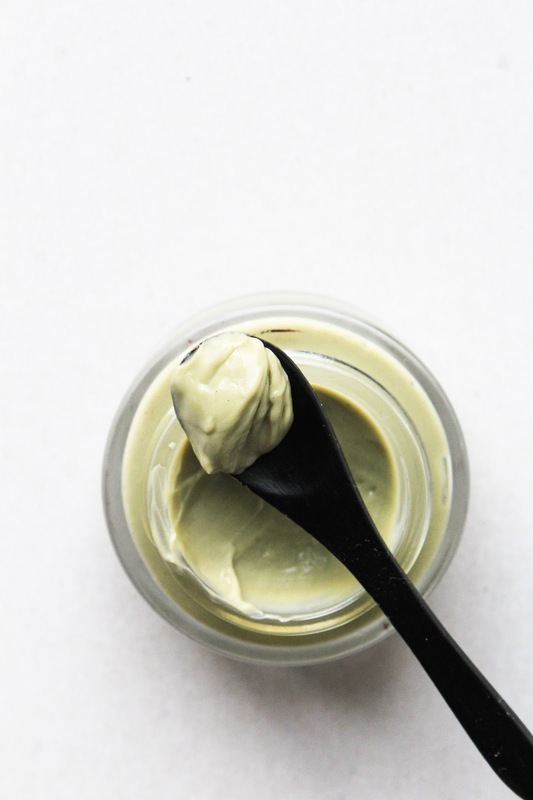 Extracts of Laukahi, a species of plantain used in traditional Hawaiian healing, is combined with Comfrey and Tamanu to promote detoxification and skin regeneration. 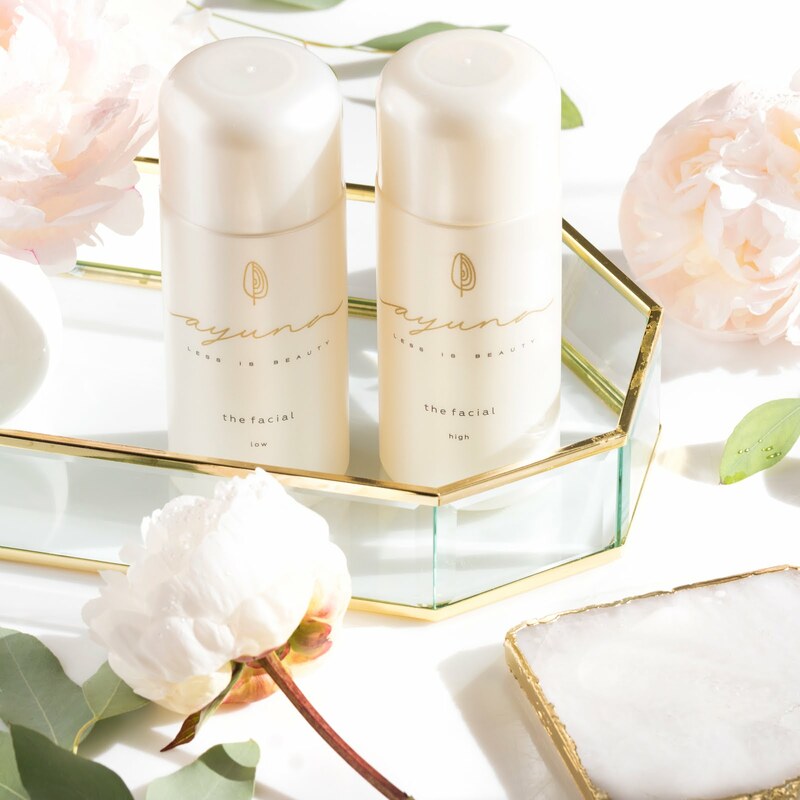 Precious, sustainably harvested Hawaiian Sandalwood, Neroli and Bulgarian Rose Hydrosols offer deeply hydrating benefits and a grounding aroma. A touch of Jasmine boosts skin immunity and leaves a trace of delicate floral lingering in the air. The mask has a very unique consistency for a mask, it is like a gel. It has a light green colour which hardly shows on the skin. Because of the gel texture, I almost expect it to feel cooling on the skin but after I first apply it I feel a bit of tingling for half a minute or so. Moana feels slightly tightening on the skin, but nothing like a powder clay mask mixed with water. The mask can be used as a quick mask in the morning, almost as a cleanser. Leave it on for 5 minutes and your skin is ready for toner & Malu. It's a nice morning mask but I prefer to leave it on my skin for longer, like for half an hour or so. The mask rinses off quite easily and I also have to mention that even though it contains Honey, the mask is not sticky. My skin is left hydrated and soft. I love that it's gently detoxifying and with regular use I believe it's also balancing. This mask feels potent and active so I would suggest a skin patch test if you have sensitive skin. You can check out Moana here. 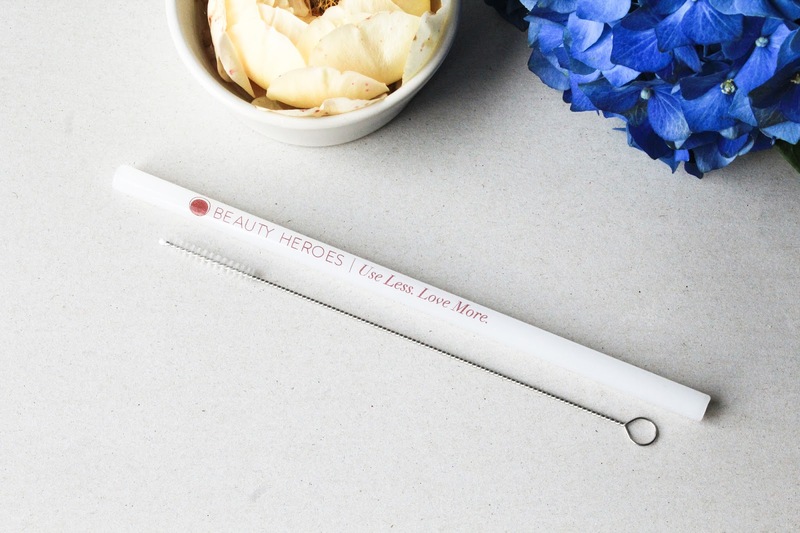 Last but MOST certainly not least is the most exciting product in the June Beauty Discovery: Beauty Heroes Glass Straw. Ever since I saw Jeannie Jarnot using her BH glass straw I was like please tell me when can I buy this?! And now I have it and you can get it too - each June box contains it! Why a glass straw? 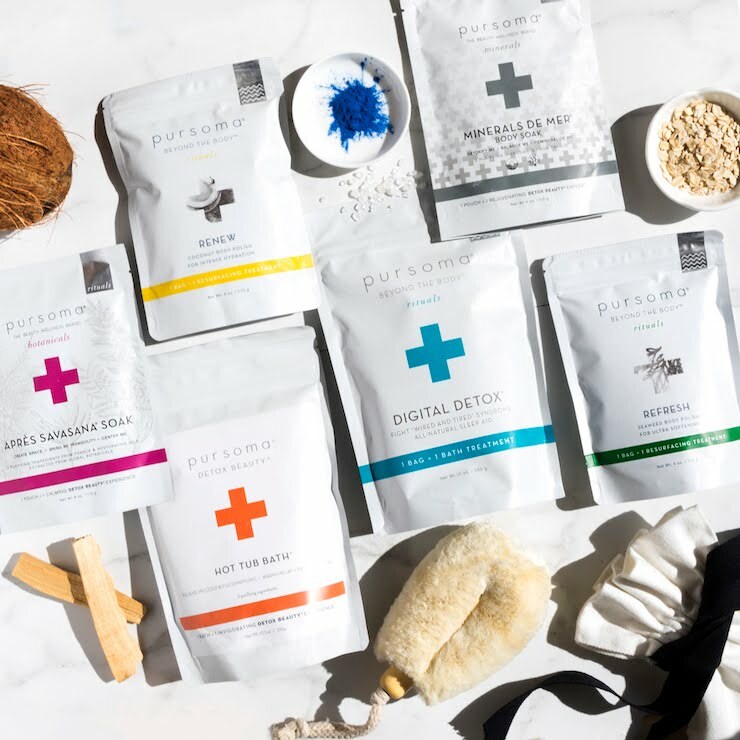 Well if you didn't know, a few months ago Beauty Heroes started working with 5Gyres, a non-profit organization that focuses on reducing plastic pollution. I'm sure you already know how I feel about plastic (I'm rolling my eyes over here so much I can't even tell you!). Plastic doesn't just go away when you toss it in the bin or gets recycled but it pollutes the world around us. Quite literally! Plastic breaks down into microplastic which pollutes the water and our beautiful Mother Earth. It is literally everywhere, even in water that we drink. Not to mention all the plastic in the oceans. Poor, poor animals. Ugh this stuff makes me cry. Thankfully there has been more talk about plastic and people are becoming more and more aware to use less plastic. But everywhere I go and order for example a lemonade, that comes with a straw. And here comes in handy a glass (or stainless steel) straw. Carry your straw with you and just say no to the disposable and not recyclable plastic straws and just use your own. To be honest, I'm not used to carrying my own straw with me because I just say no and don't use a straw at all but if you like drinking with a straw then here is your solution. I do think I should just start carrying my own glass straw with me just so others can see how easy it is and start a conversation. I'm sure I can inspire someone else to start saying no to plastic straws. Hopefully! Are you doing this already? It's these little things that count. I don't think I can go zero waste, at least not at this time but things like refusing plastic straws, bags, and stuff like these, are so easy and everyone can do them. Let's just talk more about plastic and its damaging effect on our planet and our bodies okay? You can get the BH glass straw here. 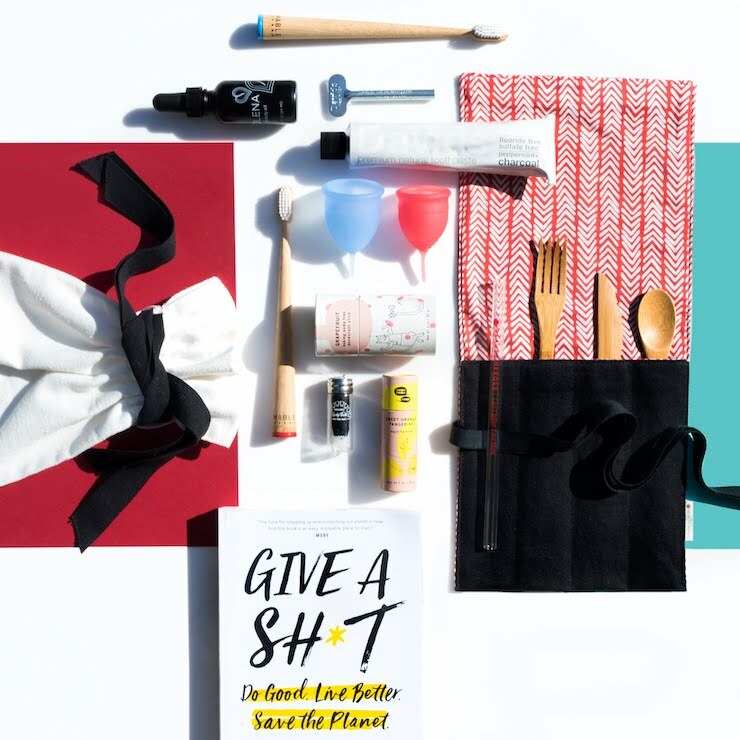 One other thing I have to mention is that Beauty Heroes now also carries these cute reusable Utensils Kits (see here), alongside their new Glass Straws and Straw Sleeves (see here). For the end of this post I want to leave you with this video here, where you can see the beach clean-up organized by Beauty Heroes and Honua. This beach clean-up happened in Hawaii and I loved seeing all the people doing this amazing job of cleaning the place of mainly plastic. It's a very inspiring video so do check it out. See it here. 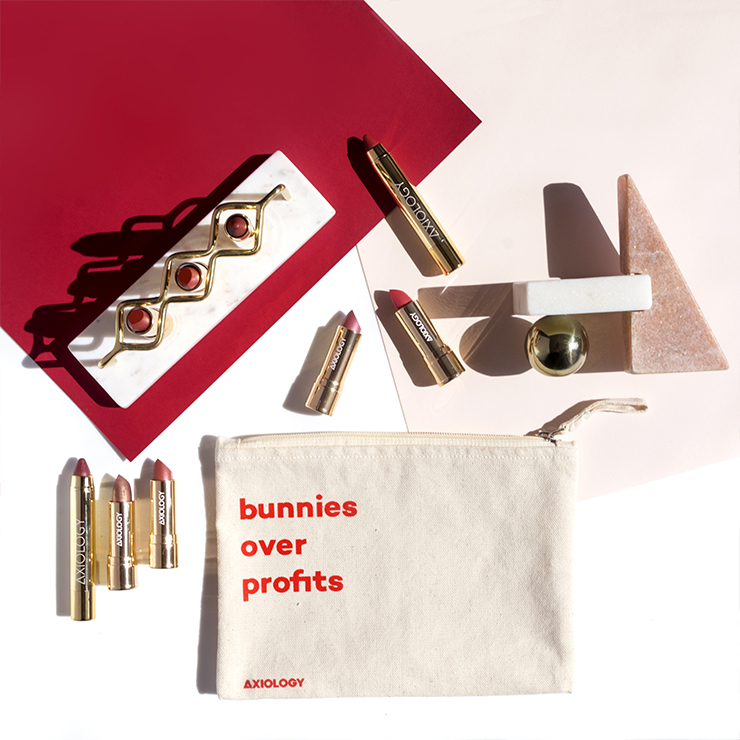 June Beauty Discovery is available until June 20th but it can sell out sooner so don't wait too long. 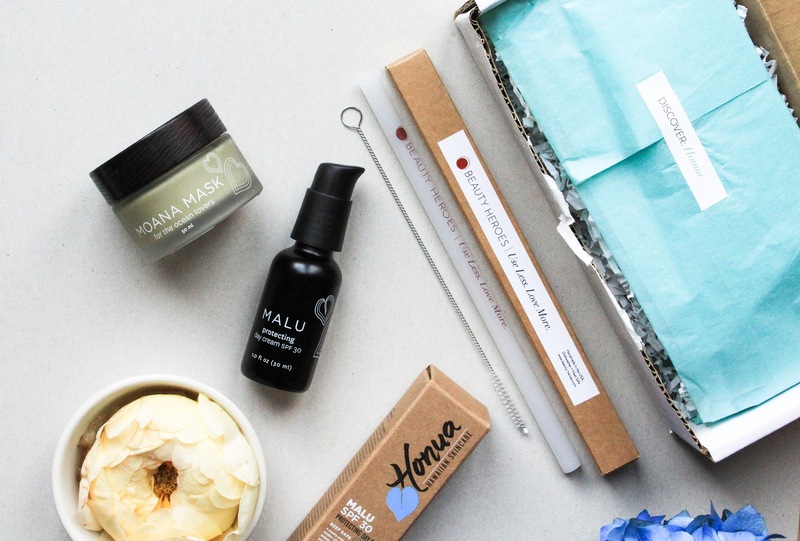 You can get the Honua box here. 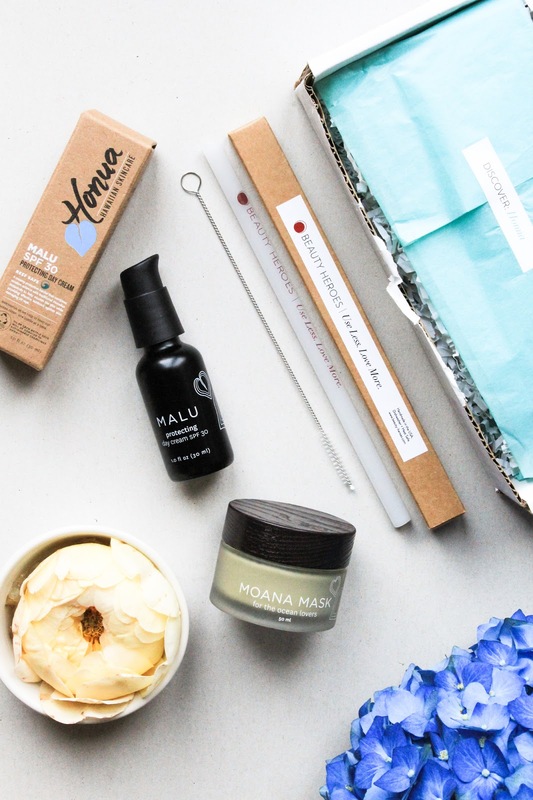 Have you tried Honua products before? Let me know if you got the box already and what you feel about the box.